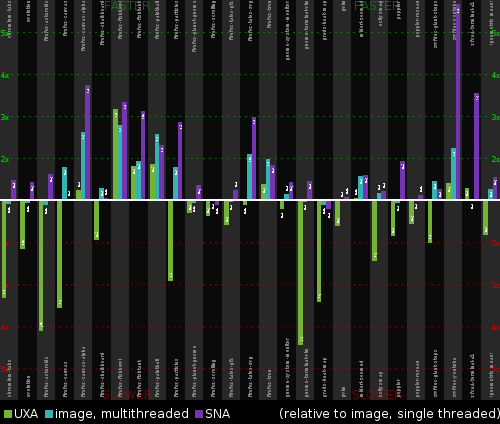 At that time I came to a conclusion that it’s better to still keep multi-threaded rendering as a trump card and concentrate on single-threaded performance for now, especially considering that SSE2 backend still has a lot of room for improvement. 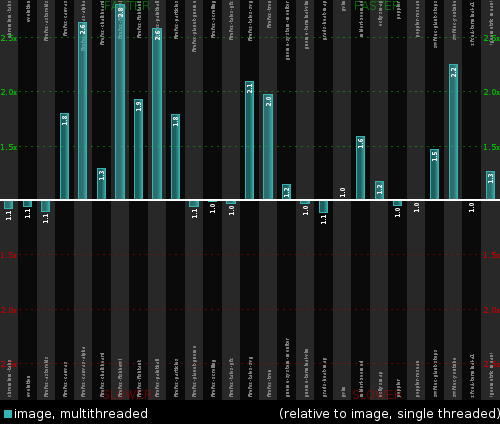 Spawning multiple rendering threads can starve the application thread, which is not very nice and may result in worse overall experience for the users (the cairo-perf-trace, while being a great benchmarking tool, does not simulate this aspect adequately). 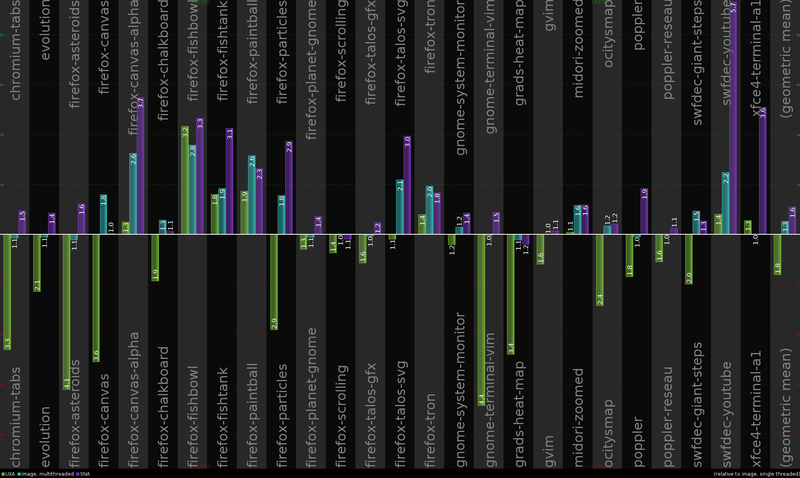 IMHO it is better to be “green” and still provide reasonably good overall performance than hogging all the CPU cores. LLVMPipe is particularly badly behaved in this respect. Still there is also “offloading” factor. When we are doing client side rendering (image backend), the client calls to the pixman library relayed from cairo are blocked until the operation is complete. 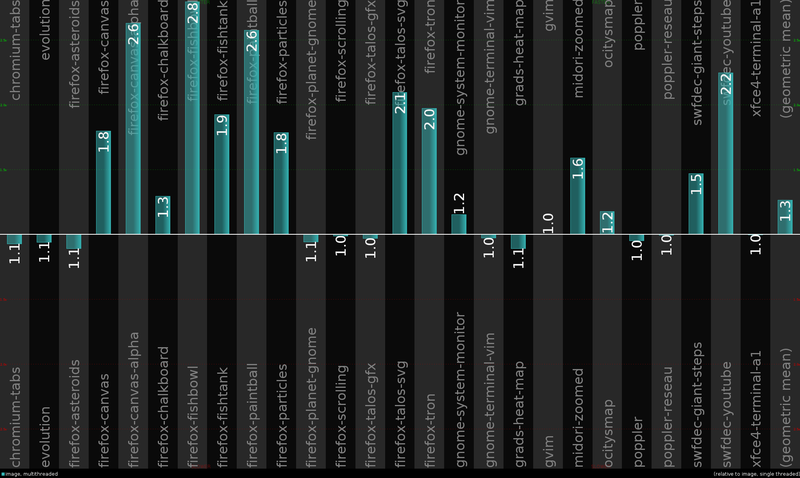 It might make sense to try non-blocking asynchronous rendering with one (or more) worker thread doing all the heavy-lifting job with the pixel data. This is about the only real performance advantage (when the IPC overhead does not outweight it) currently offered by doing rendering in a separate X server process with the DDX drivers having purely software backend such as xf86-video-fbdev and xf86-video-modesetting. Could you throw up an xlib comparison? What type of comparison are you looking for? At the end there I tried to show that if throw more cpu cores at the problem (in order to try and saturate memory bandwidth) performance of the CPU backend is a match for the integrated GPUs – at least on this machine with a beastly CPU and weak GPU.